What is Considered Heavy Duty? All types of vehicles on the road will need to access the services of a towing company at one time or another. Of course, this also applies to vehicles that are under the heavy duty class. Under vehicle classification system of United States Environmental Protection Agency (EPA) those that weigh 8,501 to 60,000 pounds are called “heavy duty”. Vehicles under this class are tagged with codes ranging from HDV 2b to HDV 8b. Diesel engines used for heavy duty vehicles are also used in the classification system mentioned above. To make it simple, small trucks, RVs, urban buses and other similar motor vehicles are included in the heavy duty class. Moving these vehicles over long distances (state to state or in excess of 100 miles) can be a complicated thing. 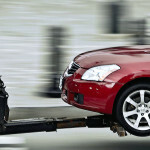 The sheer bulk of the vehicle can be a problem for towing companies. Hauling such a load over long distances presents significant risk to the haulers, other road users, and to the vehicle itself. This is the main reason why it is important to choose a towing services provider that has the right expertise, equipment, and experience in doing heavy duty hauling over long distances. Another concern for heavy duty vehicle owners is the cost of long-distance towing. Some people look at the practicality of moving these vehicles over state lines or regions. It is true that there are instances wherein the owner will spend less money just by buying a new vehicle than by getting the current one hauled. Towing the vehicle through DIY systems is also a viable option if money is an issue. However by doing this (two-wheel towing), the odds of getting the vehicle’s internal systems damaged becomes greater. Currently, providers of towing services will charge on an hourly basis with a minimum number of hours per contract with clients. Small trucks with a gross weight of 7,500 to 10,000 pounds will be towed by companies for a flat rate of $95 per hour and a minimum contract time of 1 hour. Those who own trucks that weigh up to 50,000 pounds are charged $180 for the same minimum contract hour. While these are prevailing industry rates, the possibility of negotiating lower rates with towing companies will always be there. It just matters to find a company that will not sacrifice safety and quality of service over rates that clients are capable of dealing with. With Central Towing, these and other issues mentioned above will be resolved. 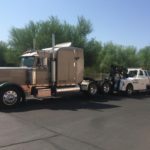 As an experienced towing company in Arizona, you can trust us when it comes to heavy duty towing. We own a fleet of towing vehicles that can safely transport heavy loads over long distances safely and efficiently. We are licensed, bonded and dedicated to deliver service quality that exceeds every client’s expectations. In addition to individual moving or towing projects, Central Towing can also offer bulk services in case our clients own a number of heavy duty vehicles that need to be moved from one location to another periodically. Central Towing accepts long term service contracts with other companies when it comes to heavy duty towing services. 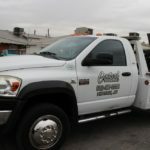 We are a well-known towing partner among commercial and industrial companies in Arizona. It is never difficult to get in touch with them. If you are in need of heavy duty towing, you can just call us at (602) 277-3200. For advance service requests, e-mails can be sent to us at info@centralphoenixtowing.com. What Can Central Towing Do For Your Commercial Business?